Thanks to the excellent help available in this forum I'm around 2/3 or so into my Kickstarter PB+ build. It would have been further, but the all-nighter turned into an almost all nighter when nearly falling off the stool asleep got to be an issue, plus there was that very sharp pointy Xacto knife. There's lots of good directions, so these are just random observations and comments. I've got a few pictures, but mostly was too eager to put it together to take very many. The only missing parts were some 1/4" washers. I counted out (almost all) of the small parts and was short one 18mm M3 but had an extra 20mm instead. My cheap bolt gage made checking lengths really easy, and I used a glass baking dish (don't do this if your wife is home...) as a parts holder/sorter. The smooth glass made it easy to pick individual small parts out and flick them into different corners while sorting. Sure wish they'd used a few plastic bags rather than one big handful of loose parts. I ordered just about every spare bit of hardware suggested here (it's 40+ miles round trip to the hardware store), but so far have only used the 6-32 square nuts. Mine are a loose fit in the slots; while they work fine they'll slide out if the part's tilted at all, so keeping them in place has been a challenge at times. I was going to stain it bright red, but never found the right color locally. I just lightly sanded with 320 grit, spray shellacked it, and started in. Perhaps some rattle can red is in it's future. For the most part it's gone together without problems. The base parts needed a bit of beveling on the ends of the tabs to get them started - the side plates were a little warped and I had problems both aligning and straighting them while starting the tabs into the deck straight, so a little bit of sanding on the tab corners helped get them started. Getting the X carriage together was a bit frustrating, just couldn't keep the retainer rings in the right place while fitting the bearings into the side pieces was a bit past the limits of my mechanical dexterity (in retrospect a bit of masking tape might have helped), but it's together and kept all it's balls. I got all LMxUU bearings, but the laser cut slots hold them fine, so they did make them a bit smaller. Since all that's supporting the sides are just the points of the cutouts (maybe could have beveled them a bit, too late now) I expect they'll wear the edges down and settle in when it starts working. The linear bearings really are crap. The Y axis LM8UUs had one one side that went together and had almost no friction. Of course, that rod slid out (should have used some masking tape to hold them on) while turning the base around, and while carefully putting it back together a couple balls fell out. I must have put them back in a half dozen times and had them come out again before they went zing and disappeared across the room. The spare did the same (but with only one ball coming out), so my Y axis is down a ball. Replacement LME8UUs from vxb will be on order shortly, plus some LM8UUs so I can change the carriage to 4 bearings later. The rods seem to move OK, but now both sides are a bit gritty rather than just one. The bearing balls really do recirculate in their plastic grooves. I used a miniature slightly magnetized flat screwdriver to carefully open up a gap and push the errant balls back into place, then slid them around a bit in the groove. Unfortunately it wasn't very effective since the little buggers kept jumping back out. The LM (not E) 12UUs have just enough drag the bridge won't drop by itself, but it moves smoothly and without any gritty feel or binding. 12mm rod alignment is withing the tolerance of my electronic angle gage thingy. I think the gages sides are a tenth of a degree or so out of square (no real way to test), and there's more variation than that (maybe 0.2 or 0.3 degrees) between the sides and deck of the base assembly - I tried checking square from both the top and sides of the base. I'm seeing about 0.1 to 0.3 degrees front/back and side to side, so as delivered it's square within my measuring capabilities. The cast large herringbone extruder gear initially looked good, but the bolt head recess had some blobs and the bolt doesn't sit straight (now there's a surprise...). Other than that the hobbed bolt head is a "hand tight" fit - it'll go on and off by hand with some pushing, seat fully with a little bit of pull from the nut but still be removable. I've been carving away on the blob with an Xacto knife and and it looks like it's gone, but still haven't got the gear to go on without it's characteristic wobble. I'm about to try some paper shims, then will probably just hope it's good enough. While carving away I thought about taking the CNC router and re-routing the bolt recess, but that's a bit excessive. It looks like it's a bit out of round, too, so mine is as poor as everybody else's. The spacing washer might need a bit of filing, my thinnest has the hob a hair out of alignment. Spur gears will be an early post-calibrated print. Assuming it works when it's all together (and getting a bit ahead of myself) I plan to enhance CL1's suggestion and hand-write some small gcode files to whomp the axes back and forth for a while and let everything settle in (if it works I'll attach the gcode), then retighten everything and start on calibration. Initial thoughts are to take each axis individually and work them back and forth at increasing speeds and travel until they either obviously miss steps or it starts hopping around the table. After that I'd like to try various combinations of axes with both straight diagonal lines and arcs - not sure that's helpful but it'll be cool to watch - and continue until everything stabilizes or my patience gives out... If anybody's got suggestions for appropriate motions I'd appreciate them. Time to get back to assembly. Maybe a working bot's in my future after all I was half expecting Brook to go broke before the final bots got shipped, but (even though there's still time) that's looking a lot less likely. And speaking of big expenditures it looks like the mega-laser cutter's taped shut and they're not using it. Anybody know? The tape is on the access panels to make it more airtight, so that the exhaust fan doesn't have to work as hard to pull all the smoke from the cutting out of the cutting chamber. if you try to make such gcode public it might be helpful to write a wiki page about such.. "run in" (is it the right English word?) as well. lwalkera wrote: The tape is on the access panels to make it more airtight, so that the exhaust fan doesn't have to work as hard to pull all the smoke from the cutting out of the cutting chamber. That must mean it's making smoke, then. I've been too busy to watch the dropcam and nobody''s mentioned it in a while. Thanks! I have it assembled without the extruder, and have been doing some testing and bug fixing. Marlin wouldn't work without the extruder thermistor connected, so it's sitting in a box behind the bot. Neither of the heaters are connected. My (zinc/ny-unlocked) bridge has a couple sticky spots - a combination of the LM12UUs being a bit sticky and what looks like a mm or so of inward tilt (top tighter than bottom) of the Z guide rods. I used a digital caliper and ran the depth rod out until it touched and found the tops were slighly (don't remember just how much) closer than the bottoms - the digital angle thingy isn't as good as old-fashioned style distance measuring. Considering a tiny bit of filing on the plywood base socket (one isn't completely seated in the cone-shaped laser cut hole so there's a bit of room), plus some screw loosening and careful tweaking (not sure how much it takes to bend a 12mm rod). Plan to dig around on the forum for the correct way to fix, too. Not sure about the bearings, probably will try carefully cleaning them (soak/agitate in kerosene) and hope they don't lose any balls in the process. Maybe PB will give me a new set - they were too draggy as received to slide well under their own weight - but probably not. There was a slightly too long screw on the X carriage that hit the back of the bridge. It was a bugger to find, probably because I kept thinking it was the X rods going out of position when tightened and another bearing issue. It also explained why I was short one 2" screw Pretty zippy without the extra drag, the slight gouge in the bridge will be a souvenir. The X home switch actuator mount got assembled on the wrong side of the carriage (intentionally, I looked at the pictures several times and it sure looked like that was the right location, but it wasn't). Have to take it apart and fix, sx is a lost inch+ of X travel, it still hits the switch. The actuator (aka 6/32-1" screw) is a bit off straight and the tip was sometimes not tripping the screw. Temporarily it's reversed and the head hits the switch just fine. The X bearings are noisy but work fine. I had the Y and X switches were swapped on the Printrboard so it didn't home very well. Swapped and works fine. Sure wish Marlin/Pronterface had some way to tell when the home switches are closed, it's pretty handy with EMC2. Y otherwise appears to work OK but haven't really exercised it yet. Extruder/heated bed temps agree within a few hundredths at room temp, bed warms up a bit if I hold my hand on it, since the heaters aren't connected that's all I have checked. I've been hand coding some gcode to exercise/wear in the axes, so far just the Z axis, increasing range up/down movements. Sure is slow, and must have either a configured upper limit or (I doubt it) is limited by Marlin's max step rate. Even with 3200 steps/rev I should be able to get 5-10 revs/sec, and it looks less than one. The bridge doesn't always drop under it's own weight (no extruder yet) so it's a bit jerky going down. Hope that's the tilt issue. Have an extra nut on the right threaded rod, there's convenient extra locator slots on top the bridge, just to keep things moving along for now. X and Y now appear to work fine but haven't really pushed them yet. I found MS small basic on the W7 notebook I was testing with. If downtime at work allows I'm planning to write some quick gcode-generator programs tonight and thrash the machine a bit, straight lines, diagonals, arcs, whatever - as soon as I deal with the minor issues above. Lots easier than typing it in by hand. Why basic? I've been writing it for (gulp) over 40 years, ever since modifying a basic compiler on a Univac 1108. Because it doesn't take any thinking or more than an occasional documentation check it's my quick and dirty choice. You should probably learn python/perl/c+-/fad language of the week if you're starting from scratch - get good at one programming language and anything else is just details. So far it looks good, nothing that can't be sorted out with a bit of work. I'll probably order new LME12UUs (what's another $30...) for the Z axis along with replacement Y carriage bearings but they can go in later. Probably will get bored/antsy/eager to print before really wearing it in, but will post any working gcode when it's available. There was a slightly too long screw on the X carriage that hit the back of the bridge. It was a bugger to find, probably because I kept thinking it was the X rods going out of position when tightened and another bearing issue. It also explained why I was short one 2" screw Pretty zippy without the extra drag, the slight gouge in the bridge will be a souvenir. 1) too long a screw... i did the same bloody thing, and have a really BIG gouge for it too... i finally had to take the screw out and reverse the direction it was installed in, i now have the HEAD of the screw closest to the Bridge, and the NUT is inside one of the cut-outs in the extruder base-plate, the one that bolts to the carriage piece. 2) your stepper speed sounds like it's set wrong for this TEST G-Code. what are your PF settings on the "options" menu? it will be the very last entry "z_feedrate", you can change it there, or on the main window directly above the "+Z" button ( or upwards and slightly to the right of the "Y Home" button on the bullseye.) the default 200 MM/MINUTE will get you a 3.33 mm/SECOND of travel. with one revolution equal to about 1.41mm of vertical travel, it should take about 2.36 seconds to do that... SO... it sounds like it's set for the default speed and you want it to go faster... cool, you can up the speed settings, and don't forget to re-slice the file to get the changes to "stick"
scantrontb wrote: 1) too long a screw... i did the same bloody thing, and have a really BIG gouge for it too... i finally had to take the screw out and reverse the direction it was installed in, i now have the HEAD of the screw closest to the Bridge, and the NUT is inside one of the cut-outs in the extruder base-plate, the one that bolts to the carriage piece. 1) Battle Scars! I got some more 2" screws from my favorite hardware store, and will cut one down to fit. Still have to redo the x-carriage to get the actuator piece on the right side. I've got some 6-32 T nuts (another side effect of 7 month wait), maybe they'll fit on/in the tab to straighten out the bolt and help out the threads, which are now skewed a bit. 2) No slicer, just Notepad. G1 X15.0 F2000 (or whatever, don't remember what I tried last). Will try changing the options, they're unchanged from what I downloaded. 3) Yep, will order them, just stalling a bit to see if I want anything else from them. Plan to try both ebay'd and direct vxb.com to see which works out cheaper with the shipping. Had a little downtime tonight to play with small basic and cranked out a simple bot pounding gcode generator. Just running the axis up and down from a fixed start to higher and higher offsets, then repeat again with the speed boosted. Probably no better than just limit to limit for wear in, but it's a start. Here's a quick look, crude and untested, but it at least writes a file. If it works I'll upload. If not, I've got no idea how that got here.
' If minspeed and maxspeed are the same one pass will be done.
' No rights reserved, no warranty expressed or implied.
' It's yours to use or modify, and still yours if it breaks your bot. Darn job, sleeping, and home projects. It'd be done by now without them. Dramatic isn't the same as better. This video only shows that the bearing on the right has more preload than the new ones. In actual practice, the one on the right may give better service and prints due to its higher preload. What cannot be seen from the video is whether the bearing on the right is also suffering from grit or some other internal problem. That would need to be attended to with any bearing. But the video as presented does not mean the bearings on the left are necessarily better for your end results. I've stayed mostly silent on this subject because I don't want to get into another long engineering discussion/debate about linear bearings, so i will let the above stand as a caveat for those who think the video is a tell-all solution. Do your own research. There's more to this linear bearing stuff than meets the eye! I know you're having fun with this coding, but Something like the Large extruder gear placed at different table positions would be a great break-in file. A 4 up print would be a good start. @Mooselake When you are done your burn in code, can you post it to the software section? that would be dandy. Randomization is definitely in the plans, starting crude and simple just to get something that works and refresh ( ) my slightly lapsed programming skills. Kinda hard to concentrate between ambulance calls at work last night. I was thinking a combination of large moves to try to break in the bearings and random short fast jerky moves to see what loosens up - what do you think? Slic3r can handle the air printing. plexus wrote: @Mooselake When you are done your burn in code, can you post it to the software section? that would be dandy. You betcha! Hope to post the finished gcode in both PB and PB+ versions too if it's good enough to share. Quick update - exercised all three axes on my bot with randomized moves for about an hour each axis last night. I wasn't too impressed with the random number generator, since it mostly generated long moves, so I've changed the approach to a configured number of limit to limit moves, then increasing distance off-center left/right (center+1, center-1, center+2, etc), working on the assumption the full axis moves will help break-in the linear bearings, and the jiggling will try to loosen things up. All three axis are exercised, but one at a time and not together (yet). Added M201 and M203 codes to set the acceleration and maximum speed, hopefully that fixes the speed limits. Just guessed on acceleration, you might have to edit it to something different. There's an M117 gcode that supposedly returns the offset of the home switches in steps that (if Marlin actually implements it; from the source it prints a message when the code is detected but I can't find where that message is formatted) would be useful to determine the maximum possible speed and acceleration without missing steps. Interesting, but maybe not useful information since other factors like maximum extrude rate could be the limit. I'm back at work and can't test, but the current gcode is attached with both PB+ (5 to 190mm range) and PB (5 to 145mm, is that OK?) if anybody cares to try it. Just open in Printrun and click print, keep your hand near the power off switch . I'd be interested in knowing if upping the speed really does anything, if the speeds/accelerations are reasonable, and if actually does anything useful. I finally got a chance to test, 5000, 7500, 10000 mm/s XY, 500 and 1000 Z, 150 L/R (F/B/ U/D) passes at each speed. My PB+ misses some X/Y steps at 10m/min. Not every pass, but it occasionally hangs up for a second or two on both X and Y (which seems odd, perhaps it binds occasionally). It might be partially acceleration (X/Y 1000, Z 200), which seems slow but I have no real idea what to use, or maybe 165mm/s is too fast in it's current state. The X stepper is about 90F/32C under load, 120F/50C when idle. I never checked the current pots, they were at 6pm. Zs are cool to touch, will just leave them at 6 since they're paralleled. My Z definitely needs some work. I wasn't watching when it got to the Z test, and it was bound up tight when I checked it - I have a second nut on the top of the right side for now, and it was a stuck low on the left, so it lost some steps somewhere. If you try the current code you should keep an eye on the machine while it's running. I plan to change the jiggle code from increasing left/right to random length short jiggles with the center oscillating back and forth. Might be a while, since I need to sort out the Z axis alignment first. Changed the X acceleration to 500 mm/s2, probably too low, but it now has an interesting "bounce" effect - I can see the axis slow down and accelerate when it changes direction over maybe half to 3/4 inch. Still binds occasionally at 166mm/s, fine at 125, acceleration change had no apparent effect on this. What are the recommended acceleration values? Has anybody tried to see what the best (I assume largest without lost steps) values are? I tried your exercise code and it works fine until I get to the Z. Then the motors just buzz. When I run the Z in Pronterface it works. Is there something in the code that would cause this or would it be something else? The test feed rate's probably too high and/or your Z jammed on a tight spot and/or the bridge tilted a bit. Glad to hear your X and Y are working, especially at the higher speed! I haven't tried to tweak the Z axis values yet as my Z has issues with the bearings, and smooth rods being a bit off parallel. Broke my work as delivered first resolve and ordered LME8UU and LME12UU bearings last night. Vxb.com is cheaper than ordering them via ebay for multiple item ordering. Plan to try my Krylon electronic contact cleaner & lubricant spray (claims safe on plastic) to clean the X carriage bearings, seems easier than simple green and drying with alcohol (why not denatured instead of 90% iso, which is 10% water?). If you like you can use the edit function in printrun (or notepad or your favorite editor, vi is good) and reduce the feed rate - IIRC it starts at 500, so try cutting it down to 100 or 200 (look for Fxxx, there's only a few feed rate changes) . I'd suggest copying the file first and also stripping out the X and Y code. I'll try to upload a slowed down version tonight. Between work and my wife gritting her teeth when I work on the bot instead of projects for the upcoming daughter US wedding reception at our farm (it's just a party, why the big deal <ducks><blistered ear smilie>) it's delegated to short late night sessions for a few days. The waited 7 months argument didn't work. M117 (endstop offset in steps) returns nothing, so not implemented in Marlin. Per Lincomatic's blog the default X and Y acceleration is 3000 mm/s^2, but he was getting better printing results at 1000. Here's just the Z axis at 100 to 400 mm/sec. Quick edit, untested. Thanks, I will try it after work. After cleaning the Z bearings with Krylon Electronic spray, and relubing with both Finish Line Extreme Fluoro & Finish Line Dry Teflon Bike Lube it's like a whole new Z axis, no hang ups without the extra nut on top the bridge, no stickies when moved up and down by hand. Maybe I didn't need those replacement bearings after all. Will test more thoroughly later, calibrating axes with a dial gauge maybe will be able to try to print. Looks like I can get to about 275 before it starts to skip. Not that I need to go faster but is it a matter of turning the pot up a bit? Mine works at 250, sticks and buzzes at 300. From a sample of two 275 might be the stock speed limit. I'd like to try running it for a couple hours at 250 and seeing if there's any improvement, while working on the honeydo list. My updated bearings are one post office away and should be here tomorrow (Friday), assuming USPS doesn't send them off an another scenic tour. I'd like to see if the current ones improve with wear before making any changes. All 3 axis are calibrated. I stuck with 3 significant digits (well, 4 for Z) since that's all my measuring equipment is really good for. On of my (inch) dial gauges against the appropriate location worked well, although the Z liked a small tap to settle the last thousandth and be consistent. Heated bed (insulated with 1/16" Contact Paper cork drawer liner) reached 60C in less than 5 minutes, and overshot to 70C or so per my infrared gun. Maybe will get the extruder mounted and calibrated tomorrow evening. Attached is the exerciser snipped to only the Z axis, and the MS Small Basic program source. This one does one down/up pass at increasing speeds, from 200 to 300 mm/s in 10mm/s increments, 5 to 195mm (Plus only). With the the threaded rod cleaned and lubed (FL Dry) I'm doing 300 mm/s without issues; the extruder isn't installed yet. VXB new linear bearings arrived. They'll go in after a bit more playing to see what the stock bearings will do before replacing them, and after the a digression to get the extruder mounted and working. Took a while, but the new Y axis bearings are installed after dremeling the slots longer, the bed is now logo side up with neoprene underneath (I put the thermister in a neoprene pocket, assuming since it's touching and surrounded by insulation that it'll read as good as anything else). Still need to find some longer screws to hold the bed clips on (want to use up the 8x8 glass before going to 8x9 1/4) and do some serious testing. I printed new bed supports (reused the cast endstop mount) and milled them to the same height in my old Unimat SL, will see if that does any good. The Y bearings were prelubed with FL teflon grease and act like they'll need a bit of run-in. If the Y linear rods aren't the same height off the base I might take a c clamp and see if I can coax the bearings into the same depth in the slots to help level the bed, suspect the sharp edge they rest on isn't the most accurate locating device. Mooselake wrote: suspect the sharp edge they rest on isn't the most accurate locating device. Any suggestions on how to improve the positioning of the bearings in the slots. Is the C clamp trick reasonable or is there a better way? I haven't taken it apart to measure how deep or differently the bearings are seated but I did a quick check with the digital caliper depth gauge and saw about 2.5mm difference (25.36 to 22.77) difference in the bed to deck distance. Time for an update. I've just completed installing 1" aluminum angle along the sides of the plywood table, and replaced the X and Y pulleys with new ones from Printrbot. Still need to test, giving the dab of epoxy holding the thermistor in place a few minutes to harden. I did the heated bed a bit different than 69911e, the angle is drilled and tapped for 4-40 instead of using nuts from underneath. Rather than just kaptan I used a dab of epoxy to hold the thermistor on, then put kaptan over both the thermistor and wiring. I couldn't find my tube of PC7 or I would have used that instead. Insulation is currently a piece of cardboard held with the bulldog clips; when I dig out the neoprene pipe insulation I'll add a layer of that to the cardboard. Also in the picture is brass threaded rod as suggested by CL1. It hasn't been a complete success - the tapped nylock nuts were removed because it looked like they were causing a skipping problem, that turned out to be the plastic tubes slipping down and binding, they'll be put back eventually. It's not as fast as the original steel but that might be because I never ran the wear-in code on them. Aluminum plywood edge trim (u channel that fits over the plywood edges) will go on the front and back edges (it'll take some notching to clear the angle and maybe belt clips) for some extra stiffening, and I'll try it on the bridge to see if it helps with the bending. I've got a 30A 12V (with a volt or two of adjustment) switcher sitting in the box, and some connectors and MOSFETs ordered to install it. I'm going to try switching the headed bed and extruder power external to the Printrboard, using the board's outputs to control a pair of external transistors. I'm not impressed with the 4 pin connector, and there's a recent post about it's burning - too bad there aren't some heavier duty connections paralleling it on the board. It will also let me drive the bed with a bit higher voltage for quicker heat-up times, without risking damaging the Printrboard, and it should help with keeping the board cooler. The electronics will go in a parametric project box (or maybe this) from TV, and I'll use something like this to cover the connections and add a jack for the cord and a power switch. Here's how much warp there was in my plywood bed - this is with the far end clamped to the aluminum angle. My bed adjusters were a bit difficult to use, since the nut underneath the bed didn't turn with the screw. I had to loosen the nut, adjust the screw, then retighten the nut. Getting around this meant another trip to the Grainger online catalog for some 4-40 nylon washers and thin locknuts. The washers were to protect the circuit board from damage and shorting, and make it easier to turn the screws. M3 would have worked as well. I stayed with machine screws instead of SHCS to keep the head heights down, although button head SHCS would have worked equally well. When looking at the pictures I found that the left front corner of the board was already a bit munched, probably from the 4-40 nuts I took off.. It's now very easy to level the bed by doing one corner at a time, and with the snug nuts there shouldn't be any vibration problems. The center clearance matched all 4 corners after one pass, the easiest leveling so far. About $6 (not counting the other stuff ), and there's still 96 locknuts and 32 washers left over for another project! Still waiting for a couple parts to arrive on the dogsled, and for my RMA'd DOA 30A power supply to make it back. Here's the latest version of the external heated bed switch (minus some bypass caps), the MOSFET is a IRFZ44PBF (used sparkfun's eagle library). It's close to Traumflug's seven switch, which I found after drawing this. Any comments or advice? My design skills, learned before MOSFETs, have gotten pretty rusty. The LED is backwards. You probably don't need the diode since the heatbed isn't too inductive. Are you planning on using a generic IO pin to control this, or the existing heatbed output? If you're using the heatbed output, you'll probably need to change the input part to your FET. lwalkera wrote: The LED is backwards. Missed that Fixed it in Eagle. lwalkera wrote: You probably don't need the diode since the heatbed isn't too inductive. Are you planning on using a generic IO pin to control this, or the existing heatbed output? If you're using the heatbed output, you'll probably need to change the input part to your FET. The existing heatbed output, I want to reduce the load on the Printrboard connectors and wiring, and maybe boost the voltage a couple volts. What would you suggest? I don't really understand how much gate current is required for slow speed switching. Most of what I've read was for fast switch/high current battery rejuvenators, where they want drivers with short high current pulses to get faster switching and resulting fast output risetime; probably not a concern here. Any references you can point me to? I've got piles (well, they're small, but still piles) of 1N4004s. Seemed like a good idea, copied from Traumflug's general purpose switch. You'll want the rise-time to be as fast as possible since the heatbed takes almost the rated capacity of most FETs. To use the heatbed output, you'll only need the bottom two pins of the connector and a separate ground connection(since the heatbed port doesn't have a ground) if you're powering the heatbed from a different supply. 1. Use a pull-up on your FET gate and use the output of the heatbed port to pull down the gate when you want to turn it off. You'll have to invert the polarity of the heatbed pin in the firmware as well. 2. Use a p-FET on the high side of your heatbed, and use pull-up resistor between the heatbed outputs with the gate of your expansion on the lower side of the resistor. I can draw some diagrams when I get home if you'd like too. Still need to breadboard and test the MOSFET switch to allow the bed current to bypass the Printrboard (darn go to work thing), decided to add a PC817 opto isolator when they get here, too. While it's not very useful with a single power supply, it'll be a good way to isolate two supplies in the future. Hey, they're 30 for $2.66, and gives me some practice with them. Got 50 feet of 14/2 low voltage wire (looks like heavy zip cord) from the big box store to wire from the supply to the switch, and maybe on to the heated bed. The 49 1/2 left over feet will come in handy for a dual-bander in the car, and probably several other projects. The MOSFET switch works on the breadboard as drawn, at least enough to turn the LED on and off. Based on the arrival time of other recently ordered oriental parts the optoisolators should be here in a few days (or maybe never like my $2.10 LED voltmeters), and I still need to add a 15 or 20A fuse. I'll post an updated schematic and pictures when it's working. I'm thinking seriously about desoldering the heat bed connections and making the wiring 14g instead of the pairs of smaller wire. I was still seeing about a volt of drop with the bed switched on, even with the 30A supply, although I didn't check the voltage at the supply since it wasn't too accessible at the time. No problems printing with the new supply so far; the DiabloTek is now a filament roll support and being eyed as a potential parts source. No Printrboard hangs yet, fingers crossed. The left front Y axis LME8UU is making clicking sounds; a replacement and some spares are on the boat from China. So far it's not affecting printing, but it doesn't sound good. Relubing the rods didn't help, nor did loosening the mounts and rotating the rods inside the bearings. Retighting the cable ties, and then cutting one of the, didn't make any difference either. They're VXB replacements after I lost some balls out of a couple of the shipped bearings, not the PB original LM8UUs. There's snow on the ground, and Michigan's firearm deer season starts tomorrow at sunrise. My wife got a buck last Friday night. She's fine after an ambulance ride (not from me; I was off duty) and ER visit for what turned out to be a few airbag bruises. The car repair shop will be getting around nine grand to fix her Subaru. Somebody stopped before I got there and asked her if they could have the deer (not worth the trouble after a 50mph hit, don't know why they bothered. They did stay until other help got there), so the rack's not hanging on our wall. My partner from the night before got his own buck on the way to my wife's crash, haven't heard that estimate yet, but the ambulance headlights are now held in with duct tape until it's parts get here. Good week to own a body shop. Following Plexus's lead I purchased a micrometer head (a Mitutoyu 148-801, 0-13mm, spherical head) on eBay, new in box for under $15.00, and printed a part to hold it in place of the original Z adjuster screw. The holder's pretty simple, a hook to over the left side of the bridge, a hole to hold the mic head, and a couple tabs with slightly larger than 6-32 holes in them for a piece of 6-32 allthread. It rests (almost; should have filed a bit more) on the original screw holding tab, and the althread has a spring just big enough to fit over it and a locknut. SInce I had some 6-32 sealing washers I put one under the nut for some more anti-turn protection. Works well, based on a brief test, need to fix a plumbing leak before releveling the bed and trying some printing. My carbide micro drill bits came, and I've successfully made a set of drilled acorn nuts (0.5, 0.4, 0.3, 0.25, 0.20 mm)! I drilled the holes using an old Unimat SL lathe, and even with a precision miniature lathe it wasn't easy. Haven't tried printing with them yet. Pictures this weekend. Actually making them went pretty fast - face the top of the nut, flip it over in the chuck, dimple it with a #1 center drill, then slowly drill with the carbide bit by advancing the tailstock. I used what the table said was 6000rpm (probably a lot slower), turned the nut, and kept the bit stationary in a tailstock chuck. After trying to taper the sides with the lathe I decided it wasn't necessary - while the flat spot around the hole will push the filament down, the taper doesn't really do anything. Actual printing will tell if this assumption is good. I broke one bit of every size except 0.5mm, two of them from handling (bumped a 0.2 getting another bit out, the case closed and broke a 0.3), a 0.4 when drilling (center drilled, removed nut to check, must have been off center when rechucked), and a 0.25 from drilling too deep when I didn't see the point break through. The latter nut was good after some tapping made the broken bit fall out. Still have at least one of each size. Those suckers are really tiny; not sure I'm up to anything much smaller. Counting the $400 Unimat (this might work, too) you can make these guys for about $85 each. Support Jerrill and buy his. As promised, here's the pictures. Bit close up. I think these were the 0.2mm bits, tiny little suckers. The rightmost one snapped off when I tried to get the bit next to it out of the case and accidentally brushed it with the side of my finger. The Tool. Unimat connoisseurs will note this has the much desired U-100 motor and replacement urethane drive o rings. Not visible are the backlash reducing delrin washers under the handles from Tom's Tool Store on eBay - you can still get new parts and improvements for these very handy machines. This made it easier for my slightly arthritic fingers to put the nuts in the chuck. Left on for facing, removed for drilling, just a 1/4-20 bolt with the head bandsawed off. Facing off the bottom of the nozzle, to give a flat surface to smooth the plastic as it extrudes. The cutting bit (came with the machine, so hand ground in the 60s by the PO) is just a hair too low and leaves a little dimple, which I removed with a file with the lathe running. It's turning somewhere in the 5-6Krpm range, 6K from the chart but I think it was a bit slower. Used to put a small dimple in the nut before drilling - center drills are designed for this. Alas, this one came from HF. The camera wanted to focus on the chuck and not the bit, so it's a bit out of focus. Here's a picture I found online. Dimpled nut. This one looks a bit too deep and might have ended up as a reject. Besides giving a centered starting location to guide the very fragile tiny bits it also provides a bit of a bevel to help guide the molten plastic. I removed the first center drilled nut from the chuck to see what it looked like. It must not have gone back in in the same position, and the bit broke as soon as it touched the inside of the nut. About to drill a hole. The tailstock is advanced until the point just breaks through the nut - too far and another bit goes on the scrap pile. The stack of shame. Leftmost with the (later eliminated) side bevel cut too deep - don't really see where it makes a difference since the plastic should never contact them. Middle one's center drilled through, and the top one was with a 0.4mm bit drilled too deep - it broke, and widened the hole. These might be good for large nozzle testing so I'll hang on to them for a while. Making these was pretty interesting and educational, since I'm definitely not a machinist. First time I've run the Unimat that fast - the idler pulley's nut vibrated off and the pulley shaft needed to be filed to remove some gouges before it would go back in properly. The bearings needed relubing, the 40+ year old grease was pretty dried out. Is there some way to fabricate a sleeve or collar to support the drill bit, revealing only the 1/8 inch (or less) needed to drill the hole? Plastic should work, no? 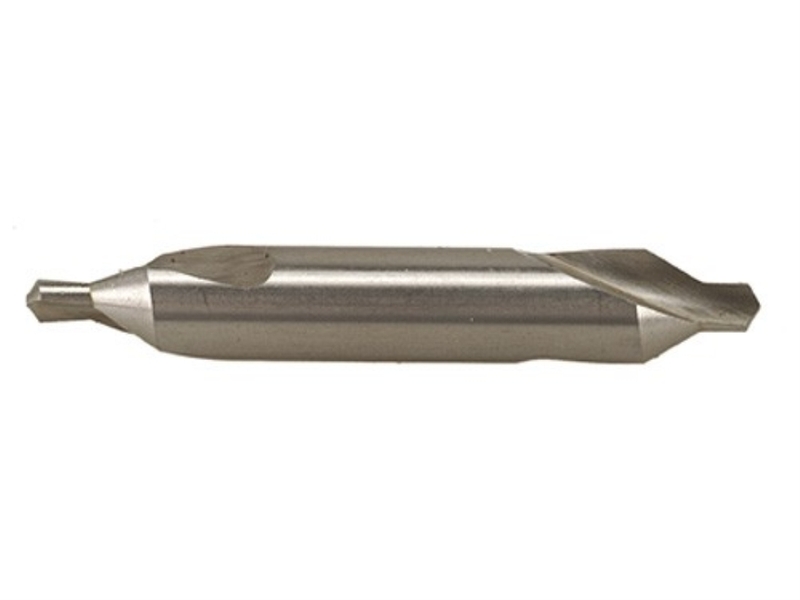 DonaldJ wrote: Is there some way to fabricate a sleeve or collar to support the drill bit, revealing only the 1/8 inch (or less) needed to drill the hole? Plastic should work, no? There's not much more than 1/8" of cutting edge exposed on the tiny bits - they're 1/8" shank for comparison, even though they look bigger in the macro photos. I think the biggest problem, other than suppressing fumble fingers, is that the bits can't tolerate any side loading. The center drill dimple has to be mighty darn close to perfectly centered, meaning the tailstock and chuck have to be aligned to very tight tolerances. The unimat head swivels and is aligned with a pin, so it's somewhat luck (baring an alignment device) if it's oncenter or not. Other than the one bit that broke after I removed and looked to see if the dimple worked (pretty much guaranteed out of alignment, in retrospect) the breaks were either going too deep or handling issues. Using a cheap magnifier with a light helped the too deep issue, but my clumsiness is just a guaranteed bit seller. I've only printed with the 0.5 (nozzle case) and 0.4 nozzles (50% frog), trying to keep about the same layer thickness (to the nearest 0.05 per RetireeJay(? )'s tweaked steps/mm) to nozzle size relationship - 0.2 for 0.5, and 0.15 for 0.4. Need to recheck the extruder calibration since they looked a bit overextruded but ran out of time, but overall looked pretty good. My first print was Jerrill's nozzle case, which only needed a tiny bit of sanding to make the cover fit - the nozzles fit fine as printed. The frog stuck w/o brim or raft and looked good with some improvement possible. My original PB X LM8UUs are getting worn (sloppy, sticky, rod relube didn't help) and the replacements aren't here yet, so maybe that'll help. Max X safe travel speed was 130mm/s when I ran the test gcode, not very good, and down from 200+. Great stuff, thanks for the info Mooselake, am just looking for this. Been a while. Sorry, no pictures today. The LM8UUs in the X carriage were replaced with 4 bearings. Probably at least one more than necessary, but I had 10 of them. The extra drag slowed the X down to 100mm/sec (although I discovered today the current pot was set too low). After a couple months of downtime I found my Printrboard's USB connector had pulled off. Round of applause to the person (don't know if he wants public acknowledgement) who fixed it for me. Works great. I ordered three Kysan steppers and PB's new nylon extruder gears, and finally installed a new X and extruder motor, plus the gears. The gears wouldn't turn with filament in the extruder, took some filing on the motor adjustment slots, plus setting the motor current pot to 3/4 (it's a 1.5A motor), and some reshimming to center the hob in the bolt. The extruder motor ran about half an hour, then locked up solid, the shaft won't even turn. The prospective Y motor became the new extruder motor, and a broke part request is off to PB. They've been sitting around for several months due to some minor mechanical body repairs to the old guy. After releveling both the bridge and bed it's been printing most of the afternoon, with infill speeds of 100 to 120 mm/sec. Other than one print that broke lose (while unwatched, the PT person was doing the thrice weekly knee reefing) and turned into a big blob it's working great. I printed a goniometer (it measure joint angles, not gonios). Slic3r's been updated to 0.9.10b, R-H hasn't been, and following the goniometer I'm slicing a thingiverse spirograph vase in vase mode. Took a pass through meshlab, since the TV customizer app generates way to many faces and vertices. Anyway, my PB+ is back working. Pictures of the gears (they seem to work fine, no recal necessary) to follow. About time to put something here. Not too much PB modding recently, what with the knee and then getting way behind. I've been interested in geared extruders since QU-BD started making them. While Q? 's extruder worked well for a select few, the handful they actually delivered were mostly turkeys and replaced, from their forum comments. I had mine deleted from the RPM I preordered from them (a sad story, not for here) and never had the chance to use a geared extruder. Until now, that is. PB offered a new new extruder beta, along with a new all metal Ubis (AMU) hot end. I ordered the AMU on the black Friday sale (and they dropped the price considerably before I got to use it That's electronics...), but they were all out of the geared extruder beta by then. I signed up for the waitlist, recently got an email it was back in stock, and ordered one. They shipped it within two hours ( ! ) of placing the order, and the dogsled brought it through the howling arctic blasts to the Moosecave. Only the metal parts were included, along with links to stl files to print the body. Here's the saga. Botfeeder gave me a credit to purchase my choice of review filamant (that's another show, but they're recommend as good stuff), I ordered some bright yellow 3mm ABS, fired up the not metal Ubis (is that NMU? ), and printed one off. It curled, haven't printed ABS for a while. Taking my own advice, changed the extrusion width from slic3r's default to 1.0mm (remember that stretch thing where the filament has to be pulled to become narrow enough? ), added support (the bridged motor pocket wasn't pretty), and waited a couple hours. Success! 0.13mm layers, infill every 3 layers, 5 perimeters (lots of meat for trimming), and 40% hex infill. Here's the unprettified result, with the Ikea LED desklamp positioned to make it look almost as bad as possible. Yes, that's Z wobble, the left screw isn't quite straight (my first Aliexpress order was 300mm T8-8 screws and nuts today, plus spyder couplers off eBay). Too big a hurry to take pictures of the assembly, but here's the cleaned up and assembled extruder. The motor is the old wantai extruder motor from the Kickstarter, plus an extension made up (must have lost the old one) using the wires on a defective Kysan (and one of stash of connectors bought a couple years back) that I got to replace the originals. PB replaced it, but let me keep the hulk. Couldn't print PB's DXFs at 1:1, so did this with a ruler. There's screw heads underneath, so the holes are out a bit from the back edge. The holes didn't quite come out clean on the back, splintered a bit, but they're good enough. I had to remove the top piece anyway since the mounting screws wouldn't fit past the 6-32 screw underneath them, but once off it worked. PBs included screws were about 4mm too short, so I hit the original build "buy before receiving stash", found some M3-16s, and took them down to 12mm with the grinder. Ran enough nuts down them to get the right length, took one off and chamfered the end, then unscrewed the rest. This is an old trick to clean up the cut threads, in case you didn't know. There's three mounting screws, two on the back, and one on the front. The front one overhangs the wood so only two of the three hold it on. Ready for action, at least as soon as I deal with the cut off filament. This is some generic silver PLA originally bought for the RPM, and stashed in the chill chest for over a year. Looks really nice printed, but it's a bit brittle, and there are several visible breaks on the spool. I'll dig back in the Amazon history and figure out where it came from. I did some marking and measuring, and got 120 steps/mm. Well, not quite the first print. The first one had the bed set at 60 first, 40 after, and it came loose. With 60 all the way nothing's come loose since. Here's one of the filament backed out of the extruder. Nicely corrugated, but not so much it gets caught. I ran a 2.5mm (iirc) bit, turning it by hand. down the printed path to clean it up since that matched the original opening. Not a lot of extra clearance if it gets chewed on. And here's one of my favorite handy prints, makes a good test and keeps those chill marks off the furniture. Celtic Coaster off TV, needed netfabbing. We had a rare sun glimpse during the afternoon, so this is with natural light sitting on a stool in our sunroom. 0.2mm layers iirc, infill every 2. Those pictures are mostly taken with the LED light positioned to make them look their worst, but overall I'd say the prints I've done so far are the best in quite a while. Admittedly the Plus hasn't gotten a lot of attention since kneeday, but about all I did was a quick extruder calibration, a fast pick of slic3r settings, and let-r-print. I'm not moving into the 1.75 camp, but it's a darn nice extruder/hot end combination, and recommended. Good print quality, bordering on excellent. Inexpensive, using the beta gear set and printing the extruder body. Went together pretty fast. The darn fan is annoying, whiny and runs all the time. They need to source a quieter version. Others have reported problems with the AMU, but I haven't seen any of them. I planned to polish the innards, but went for broke instead - it can always be done later. The second tip promised on black friday never arrived, but I've opened a ticket and we'll see what happens. The wantai drives it just fine, but it's noiser than the Kysan that replaced it in the Wades. I've been using a jury-rigged simple metal cooling fan, and it hangs down a bit too low to use with this setup. I have a 90% designed ducted fan that clips into the holes in the LC extruder mount, only needs a bit of fixing since the slot in the torus brings it up a couple layers off the bed when printed and I don't want to enable support. Should be able to modify it to work with this, but for now the Vornado desk fan from the pre-fan days continues to work. The Plus got moved into one of the empty-nest bedrooms before the knee thing (Mrs. Moose insists it's only temporary), and for some reason we never put a plate over the light switch when it was repainted, so I printed one while working on these posts. This is reprapper (Simon finally added the extra "p") blue glow in the dark PLA, using Wally the wall plate customizer. Mrs. Moose says it doesn't really go with her green paint scheme, but she's learned to be tolerant. Got a little water in it when scrubbing off the glue stick. Still need to tweak the slic3r settings a bit, since it had some stringing - the 3mm values don't always work. Any advice on how far to retract 1.75? The spider couplers came today, but instead of two 5x8mm they shipped a 5x5 and an 8x8. No problem, just take them apart and reassemble, right? Wrong. The spiders have different size slots. I managed to make one coupler that had gaps and likely some backlash. The other wouldn't go together, finally heated it in a cup of boiling water and used a press, but it wouldn't go together straight. Contacted the seller, will see what happens. Drat. I was looking forward to trying them with the allthread and seeing what happened. The Aliexpress TR8-8 has been sitting in the Chicago post office longer than it took to get to the states from China. I'll try it with the printed couplers until I can get the others sorted out. Way behind in my updates. I installed the T8-8 (aka TR8-8) screws and nuts, along with a set of spider couplers from a different eBay source some time back, very impressed with the results. Z speed went from under 4mm/sec to over 25 (I set the max at 20, we all know speed kills). Small objects print fine, but anything bigger suffers from Z drift - there's so little friction that the Z axis will move downward from vibration. PB's unified V3 firmware, like everything earlier, is configured to turn off the Z motor power when the axis is idle. No idea why, to be honest it sounds like a bad decision. Not only will it drift when you install high(er) quality minimal friction nuts like is happening here, it'll also snap to the actual motor poles (i.e. 1/200th revolution +/- 5%) and negate any microstepping positioning; I believe this is called cogging. The cogging (or whatever the proper name is) means that all that time wasted on 1/16th microstepping is worthless since you lose the (admittedly not very accurate) benefit as soon as the power is disabled. With two motors sharing the driver's output and essentially no problem with heat dissipation it begs the question "What were they thinking?". I've configured, but not loaded, a copy of Marlin to correct it. It's summer in Mooseville and spare time to have fun is being taken up with farm and home chores (I can't say enough good things about the Cub Cadet RZT 54), company, work, and perhaps a bit of the summertime blues. Well, and a little kayaking and motorcycling. A couple days ago finally reflashed the firmware to eliminate the Z drifting from the super Z screws, and the KCSP is off it's summer hiatus status. One of the girls has been pressuring me all summer to destroy her BFs hearing (print a flow directing cone, about 185mm diameter by 75mm high, for a 1000 watt speaker. Yep, a kilowatt, good thing Mrs. Moose is a hearing aid dispensing audiologist). The slightly modded PB V3 is working well, the Z motors get into the 10 sec max touch time on long prints, nowhere near their maximum temp. No drift, layers where I want them. No more big green pancakes. When the Z screws were installed they were tested for maximum speed, but I never got around to testing for acceleration or jerk. These were still at the original PB 30 mm/s2 and 0.40 mm/s3. Well, yesterday I fired up the small basic gcode generators and had a go. Wow, both were far below their limits - which I never did determine. Just went with what sounded good. Also reconfirmed that 25 mm/sec was pretty much their limit, skipped steps at 30, max speed set to 20 in firmware (overridden for testing, mostly done at 25). I worked the acceleration up to 10,000 in steps, then decided arbitrarily to set it at 500 in the firmware. At 30 they didn't sound very good in the up/down testing (think eeeeee-unk starting and stopping), and the bot got progressively bouncier after a few K. 500 sounded nice and smooth, and since it's like 15x faster than before, I set it there. The jerk testing was less definitive. I used 2 mm up/down cycles and could hear and feel differences in the way the motor changed direction, but values from 10 to 10,000 didn't really seem to make any big change - so this probably wasn't a good test for the way Marlin handles jerk. I set it to 5, again pretty arbitrarily, still smooth but 10x (with a bit of rounding up) from before. I haven't done any print testing yet (see next post...) but don't expect to see any noticeable changes - I'll be looking carefully for any Z wobble, which was negligible after the screw upgrade. At least manual Z moves won't leave time to go get a cuppa while waiting for them to complete. I knew it missed steps if pushed too hard, which I blamed the recycled original Wantai motor for. I'd done calibration at low speed, never really tried to see how fast it could extrude before. Well, it's not the Wantai's fault. This is one of the first all metal UBII shipped, from the 2014 Black Friday sale. All silver aluminum body, small child (whiney) fan. I've been impressed with how well it was printing, up to this point, and blamed it's missed step speed issues on the old stepper that was laying around after a Kysan upgrade. Using mystery brand white box silver PLA (breaks in spool but prints just fine at 190-200, except for this issue). Short extrusions went pretty well, but when I moved up to 20mm at a time it would start skipping just before finishing. 30mm skipped in the same place, call it 18mm (never actually measured...). Speed didn't seem to be an issue, although I didn't push it above the 30mm/s firmware default. Tried down to 15mm/s, no significant change. Didn't try to explore it's lower limits. Ran an autopid, saved new #s, no change. Pulled off the nozzle and ran some filament through (interestingly, didn't seem to melt very much), to clean out any crud, then performed the quite likely first ever blowtorch/IPA quench (the non-adult beverage variety) ever done in Mooseville. Followed that up with a tip cleaner (number 26 if anybody cares) which may have found a small burr. Removed and inspected the barrel, smooth and shiny. Put it all back together - no change. No noticeable change on repetier-hosts temperature graph, just the usual slight ripple, so if it's a cooling off too quick issue it's not hitting the thermistor. Extruding up to about 20mm it works fine, then starts missing steps. The extruder comes up to temp quickly, so it's doesn't look like a power issue. Maybe it's a thermal mass problem, the thermistor is too far from the heater's bore and misses a quick temp drop, but that's not reflected in the temp graph (no subsequent drop and rebound). Beats me, don't know what this is all about. Heated bed on or off doesn't make a difference, the voltage is staying pretty close to 12V (mini digital voltmeter always connected; they're cheap...). Thinking about describing it to PB support and asking if they'll sell me a new heater module, but that's kinda a shotgun approach. Anybody got any ideas? It's still usable, the only gapping I've seen is with infill on big areas, and I usually run that around 80mm/s. Annoying, though. A quick update; as detailed elsewhere the AMU will still push out around 14mm^3/sec. Setting the max E speed to 5.5 quelled the issue at the expense of waiting (and waiting, and waiting) to remove and change filament. Slic3r has an experimental option, Autospeed (at the bottom of the speeds tab, scroll down) that adjusts print speeds to try and keep a constant volume flowing out of the extruder. I set it for 8mm^3/sec, with a max print speed of 120mm/s, then tweaked the exposed perimeter speed to 40mm/s. It's working great, the infill gappies have gone away, and total print times are down a bit. Haven't tried it on the big green ear-killing ABS speaker cone yet but on less demanding prints it's starting to look like a winner. Sorry for all you Cura fans, don't know if there's a comparable option, but with slic3r it's dealing nicely with the AMU (and presumably U13's) flow limit. After a most of summer hiatus I removed the AMU, drilled out the coked mystery silver filament crud out of the extruder (followed by pipe cleaners), burned out the nozzle with the just installed gas cooktop, and coaxed the PB+ back to life. The gereric silver has been roundfiled, so it's using last weeks spool of HH3DP gray (looks a lot like the generic silver). Consistent diameter, 1.73 +/- 0.01mm from my HF calipers. Like the orange it also wants lower print temps (used the slic3r profile from the transparent orange), 190/185, and that might even be a bit high. Printed a set of rhythmic geneva cage gears, found (and reported) a Gearotic bug with combining stl files (cage wheel and 19 pins) along with one in the gear simulation. Working through a stack of prints off my list, after the gears I'm printing an insert to round out TP tubes (also the first attempt to use amf instead of stl), the center tubes get crushed in monster packs) to replace the one that was a bit too big. Next up, probably not today, is to print the universal project case off TV for my car battery spot welder project. The arrival of another spool of HH3DP, this one light blue, was the incentive to whip KCSP back into submission. Vacuum packed with dessicant, like the other two. PEI'd! Added a cheap adhesive/PEI sheet kit to one of my swappable glass pieces, just to see what the fuss was all about. Easy install, used a bondo applicator to apply the adhesive to the PEI (you only get one shot, trying to remove it removes the adhesive), then the assembly to the glass. Used the curve it as you install technique so only a small area stuck at a time. The cut edges of the PEI are a bit rough and chippy, but nothing that affects it's use - the Dorks should consider investing in a new sharp saw blade. After several prints I still need to do some more tweaking. While everything has stuck at least as well as glue stick, letting it cool off doesn't do a lot for improving the release even after cooling. I still need to use the relabeled icing spatula and the maple mini-cutting board paddle (scrap from the high school shop...) to release it, but it comes off fine and has a nice glossy finish. I've only tried the baby blue HH3DP PLA, and haven't tried to optimize it's profile yet - just loaded it up and started printing, and it's still a bit underextruded. Still made a nice case for my M328 transistor tester (check it out if you're into electronics, just stuff a random part in the ZIF socket, hit reset, and it'll tell you what you've got. Only limitation I've found so far is it won't detect zener breakdown voltages above around 4V, no surprise with a 5V supply from the 328P, pretty cool). Not sure if it's $17 better than glue stick, but it's definitely not worse and you don't need to wash off the residue. The sheet is flat (didn't dial indicator it, just a quick paper test) and bubble free, the pattern seems to be from the glue sheet and looks worse from the lighting than it really is.